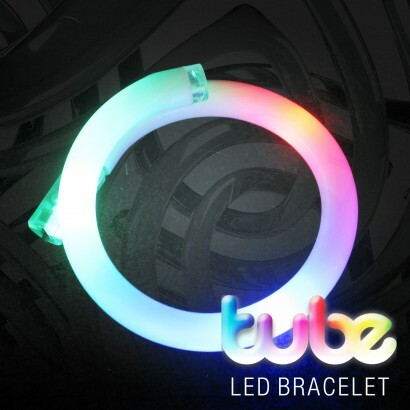 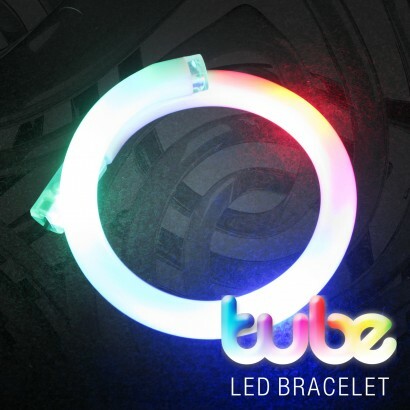 These fabulous, colourful LED Tube Bracelets are lit by multicoloured LEDs inside a plastic tube to create a funky flashing effect. 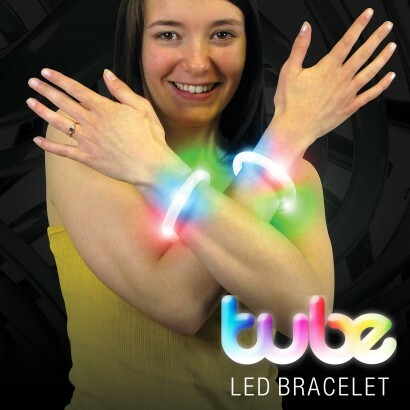 Bright and vibrant, they're fantastic fun and look brilliant bunched in multiples or equally as good on their own. 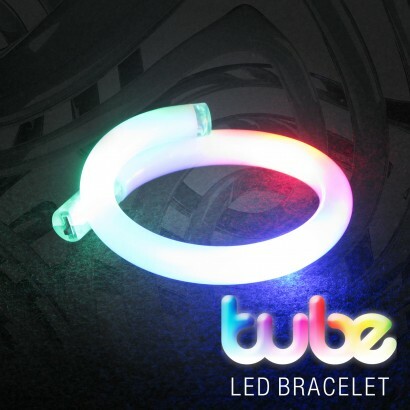 Each bracelet has a simple on/off operation and they're perfect for parties and events or even as a fun way to be seen at night!